How to change mailbox size & max email size in Exchange 2010? User mailbox – User mailboxes are primary mailboxes which store emails, contacts, notes, journals, etc. of the user. Room mailbox – Room mailbox is a resource mailbox which is assigned meeting rooms. The access to room mailboxes can be assigned to various users. Equipment mailbox – Equipment mailbox is another resource mailbox which is associated with portable devices like laptops. Linked mailbox – A linked mailbox is a mailbox associated with an account in a different AD forest. Gradually, when the data increases, it becomes quite messy to manage a large mailbox. When the size of a mailbox increases, you can think of increasing the size limit of mailboxes. And if users face any send/receive issues due to the size of emails, you can raise the size limit of emails too. 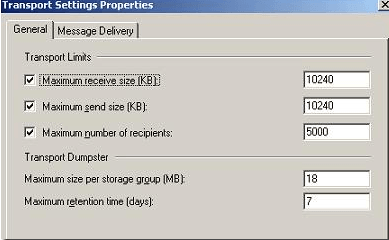 How to increase the size limit of mailboxes in Exchange 2010? There is no size limitation for any mailbox in Exchange 2010 (though there is a default value for it). But Exchange Administrators always like to maintain a size limit for user mailboxes. It helps them utilize the disk space efficiently. But sometimes, you need to adjust the size of Exchange 2010 mailbox, so that the user can easily handle the mailbox data. In the left pane, go to Recipient Configuration and then click on Mailbox. All the mailbox(es) present in the Exchange Server will be listed. Select any mailbox, right-click it, and click Properties. It will open Properties wizard. In Properties wizard, go to the Mailbox Settings. Select Storage Quotas and click Properties. Make changes in the limits and finally click OK.
How to change max. email size in Exchange 2010? After starting the Exchange Management Console, go to the left pane and expand Server Configuration. Go to Hub Transport, then click Global Settings. Right click on Transport Settings and click Properties. So, these were two simple methods which you can use to modify the size limits of an Exchange Server mailbox or emails. When the size of Exchange grows beyond a limit, it may prove fatal for the whole environment. An Exchange Administrator must know the status of each mailbox always, and there is no manual way to get the status of any mailbox. But you can use any monitoring tool which can analyze the Exchange Server and provide complete details related to mailboxes, mailbox folders, and traffic. Kernel Exchange Reporter is a proficient analysis and reporting software which generates accurate reports based on all activities on Exchange Server. It is an advanced tool which facilitates the Exchange administrator to gather valuable information regarding each functional aspects of the emailing system. It is a highly beneficial software which serves all your reporting requirements associated with the Exchange Server. It collects and consolidates data from multiple sources and stores them in a database. It further generates various statistical reports of Exchange Server mailboxes and presents in various graphical and tabular formats. 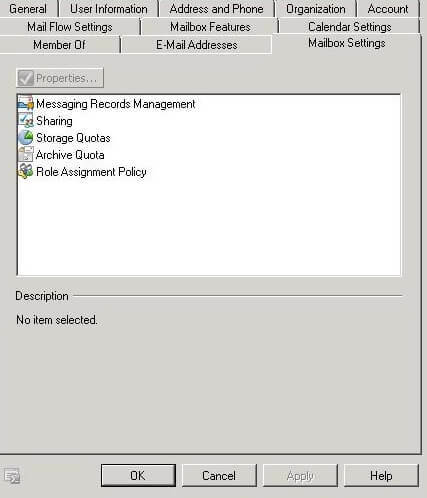 In Exchange 2010, you can use Exchange Management Console to increase the size limit of mailboxes as well as emails. But it is important to know the current size of user mailboxes in advance. This is possible with Kernel Exchange Reporter. This tool also generates mailbox traffic reports and traffic statistics reports that help administrators in organizing mailbox settings and optimizing the resources.